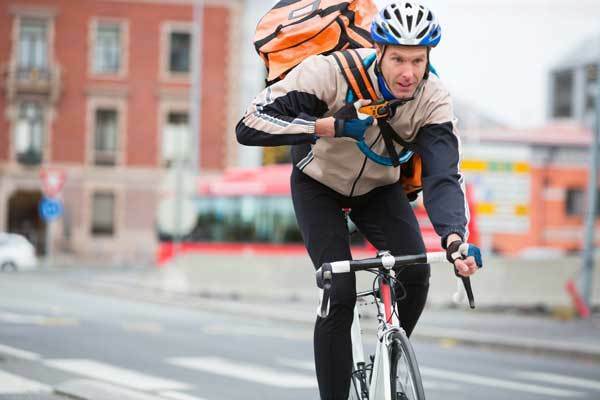 ​Don's and Don'ts to Make your Ride to work by bike safe and enjoyable. ​Switching out your daily commute from a drive to a bike ride can be an energizing and fun way to start your day. Plus, commuting to work by bike has a huge range of benefits, including everything from saving you money on gas, to making you more alert at work, to ensuring your legs get the daily workout that they need. Many people, even people with cycling experience, are often confused by where to start with bike commuting since cycling comes with a culture and a set of rules all its own in addition to the rules of the road that cars normally follow. To make getting into commuting to work by bike safe and enjoyable experiences for you, we’ve put together this guide of some of the do’s and don’ts of bike commuting. ​Safety is key whenever you’re riding a bicycle and while there are a huge number of factors that go into keeping yourself safe on the road, wearing a helmet is the important first step. Although helmets are typically not required by law for most adults, wearing one is the single best thing you can do to protect your head in the event of an accident – which can make the difference between a small crash where everyone walks away and a life-changing injury. Plus, wearing a helmet sets a good example for everyone else on the road. ​Unless your driving commute involved sitting in horrendous traffic every day, getting to and from work by bicycle will take longer than you are used to. That’s not necessarily a bad thing – but you do need to plan for it in your schedule. Be sure to leave the house with plenty of time to spare, including extra time in case you are feeling particularly sluggish on the bike one morning. Also be sure to check whether your extended commute time will jive with everything you normally do after work, like picking up kids from school or running errands. ​Although everyone loves to complain about how the weather forecast is never right, checking it can give you an idea of whether you need to wear a rain jacket on your morning ride or pack a jacket for your afternoon commute home. It can also give you a warning if one morning is particularly cold, which can signal that you need to wear extra layers or be extra careful of lingering ice on the road. 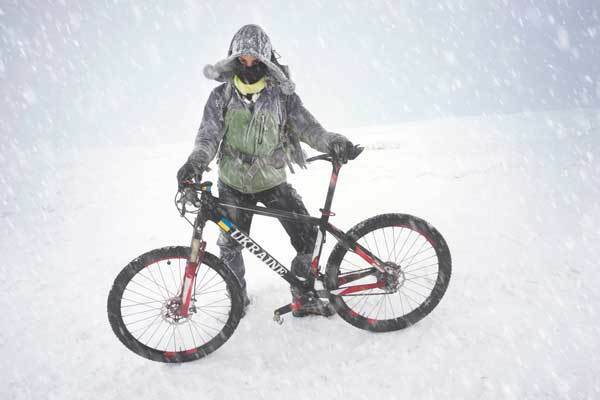 ​If the weather forecast looks bad one day, you don’t have to bike to work. Take your car or call a coworker for a ride to get through the worst of the weather, then get back to bike commuting the following day. ​The route you traveled from home to work and back via car may not be the best route when commuting via ebike or general bicycle. Look for roads that have low volumes of car traffic, slow speed limits, and wide shoulders that you can ride in without having to jump into the traffic lanes frequently. If possible, swap out roads for bike paths – even if they go slightly out of your way, they are often worth the detour since they will make your ride far less stressful. Talk to other cyclists and bike commuters or check the heat map on Strava for your area to find potential commute routes, and drive the routes beforehand to make sure they check out. ​Sweating when commuting to work by bike is inevitable. While a little sweat may not be a problem for your work clothes, the drenching sweat that you’re likely to experience on a hot day – especially if there’s a hill along your commute route – can leave you showing up to work resigned to be smelly for the rest of the day. ​When it’s going to be hot for your morning commute, save your work clothes by packing them away and carrying them on your bike and opting to wear a cycling kit instead. ​If you don’t have a shower at work to clean up before changing into your work clothes, try cleaning yourself off with baby wipes and deodorant. With a good wipe down and changing into a fresh set of work clothes, no one will be able to tell that you spent the morning sweating. ​When it comes to carrying things on your bike, a backpack is the worst of all possible options. Carrying weight directly on your back while hunched over on the handlebars is certain to leave your back sore, not to mention that having a backpack on a hot day will leave your back soaked through with sweat. Instead, opt for a carrying system that loads weight onto the bike frame instead of your body. A rear rack with a set of pannier bags is the most popular carry option for cyclists, although you can also invest in a front basket or a rear carrying crate if you find yourself stopping for groceries on the way home frequently. ​One of the most common rookie commuter mistakes is forgetting to check your tire pressure and your chain before leaving the house. Riding on deflated tires is the single best way to end up with a flat on the way to work, which will double the time that your commute takes and leave you stressed out when you finally make it to the office. A dry chain is more insidious – it will slow you down a little during your commute, but the real damage comes later when you’ll be forced to replace your bicycle’s entire drivetrain. Save yourself some money later by applying a chain lubricant now. ​If you’re riding in wet, rainy weather, you’ll need to purchase and apply wet lubricant – dry chain lubricants will simply wash off when they get wet. 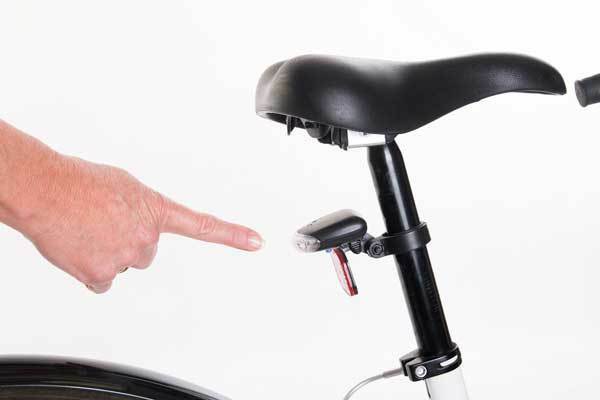 ​The number one reason for discomfort and lost efficiency on your bike is that the bike is poorly fitted to your body. 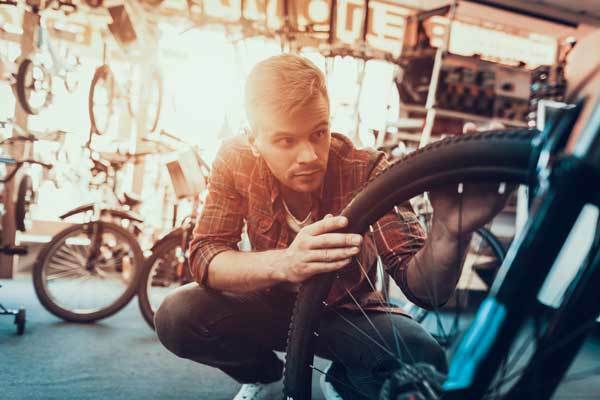 Taking your bike to the local bike store to get it properly fitted is one of the best investments you can make in your ride, as it will make your commute more pleasant and help to keep you injury free. ​One of the most important things you can do to improve your safety during your daily ride is to be conservative and considerate. ​Although aggressive drivers are always a concern, you can control your actions and safety to a large extent by placing yourself properly in the road according to traffic laws, using proper hand signals to indicate your intentions, and allowing cars the right of way rather than assuming drivers will give it to you. ​The only thing worse than riding in the rain is riding in the rain without fenders over your wheels. Once the road gets wet, your tires will be spinning not just water, but also gravel and other road debris up at your chest and back. A quality set of fenders sits over your wheels to prevent any of that from hitting you. Be sure to check whether your bike has eyelets drilled into the frame that will allow you to add full-coverage fenders – if your bike doesn’t have these, you can still add clip-on mountain bike fenders that clamp to your front stem and seatpost. ​Regardless of whether you set out in the morning planning to come home in the dark, you need a front and rear light on your bike. Who knows when you might get stuck late at work and be forced to ride home after sunset, or when you might want to go out after work with friends and then have to ride home? Save yourself anxiety and increase your safety – even during daytime biking – by equipping your bike with a powerful front headlight and a highly visible, blinking rear light. ​Commuting to work by bike every day shouldn’t be a drag just because it means you’re going to work – it should be fun! Bike commuting is a great way to get exercise, and you can use bike commuting as part of a larger training routine to stay in cycling shape. If you have time and the weather is good, consider extending your ride or cranking out some intervals to get a better workout or enjoy the sunshine. ​Giving up your car in favor of commuting by bike can radically change your morning and afternoon commute for the better. ​However, for those new to the world of bike commuting, there are a lot of small lessons to be learned about how to equip your ride, how to manage the disparity between cycling and showing up to a formal workplace, and how to ride safely. These do’s and don’ts of bike commuting will get you started with everything you need to know to take on bike commuting.